Foam vs. 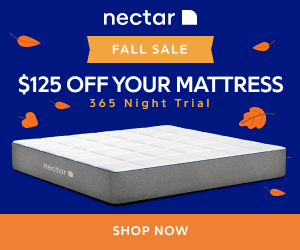 Coil Crib Mattress: What’s Best For Your Baby? When you consider how much time kids spend on cribs and mattresses while they’re growing up, it’s not unreasonable to say that a crib/toddler bed is one of the most important items you will buy for your child. An adult spends an average of 8 hours in bed. However, for children, the time spent in bed asleep is much higher .Most children will easily spend from 10 to 14 hours per day in bed- almost half of their lives! 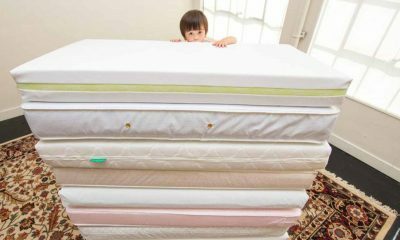 Since they are going to spend so much time on it, the mattress that you choose for your children is not a decision to be taken lightly. Ideally, you should seek expert advice and opinions of other consumers to ensure that you select the mattress specifically designed for cribs. Foam Or Coiled Spring—Which Is Best? 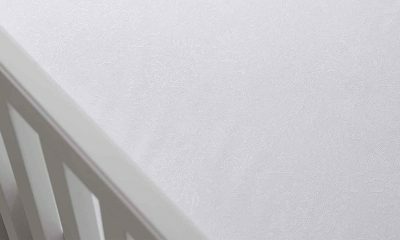 One of the most important criteria that you will have to decide upon is whether to go with a foam or a coiled spring mattress for cribs and toddler beds. Both of these options have their pluses and minuses—in other words, neither is “perfect” for any situation. There are, however, some things that foam does seem to score on better and, by the same token, there are some things that coiled spring mattresses excel at. In this handy guide, you will find a feature-by-feature comparison which will, hopefully, make it easier for you to decide which is best for your child and their unique needs. 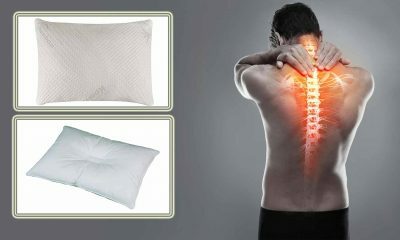 One of the biggest advantages of foam mattresses is the fact that there is such a wide range of choices for consumers. 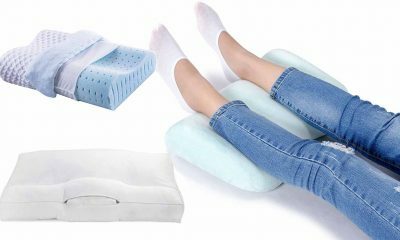 For instance, they come in the form of gel, foam, memory foam and organic foam. They are also a budget-friendly option and tend to come in much cheaper than their spring counterparts. 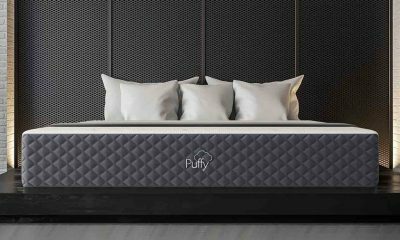 One of the advantages of foam mattresses is its great affordability—in fact, they range from a very reasonable $30 to $300+ for the better quality ones. 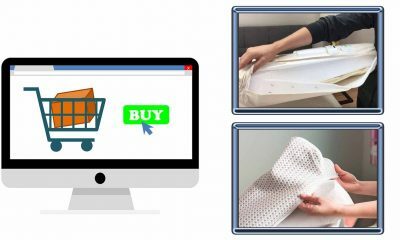 In general, the more expensive ones use denser foam with materials made from natural, non-toxic sources; the lower-priced ones, however, can also be a good investment. To be fair, it’s easier to make a foam mattress organic/environmentally friendly than it is a coiled spring mattress. However, the coiled spring variety’s non-metal parts can also be made from environmentally-friendly materials (which, coincidentally, are also “friendly” to people). Simply put, organic materials are much healthier for kids. This is good news since regular foam can have some toxic chemicals (like polyurethane) inside that can ooze or seep (in terms of vapors) out as time goes by. 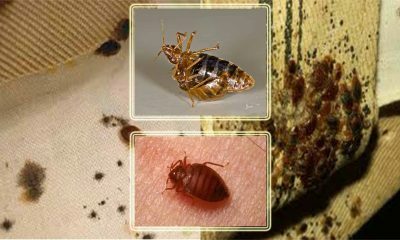 You should know, by the way, that GREENGUARD and CertiPUR-US certifications don’t necessarily mean a mattress is organic. 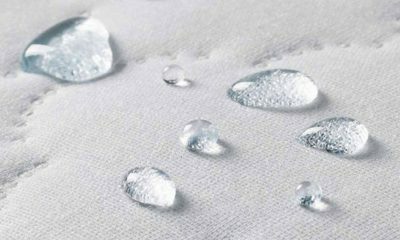 If you want “organic/breathable” products then make sure your mattress says so. 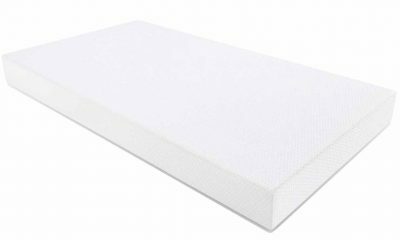 We would recommend the Naturepedic/Newton crib mattress for your newborn infant. Fortunately foam mattresses come in a wide variety of comfort levels—in fact, the sky is the limit. 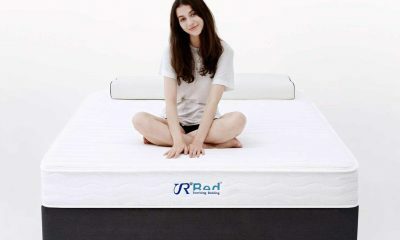 Memory foam, for example, gives you a particular type of comfort that is different than gel foam. 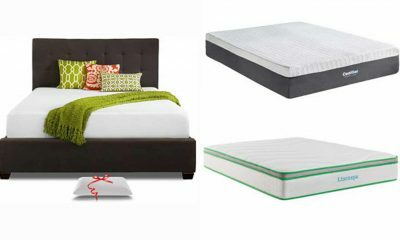 These materials are used regularly in mattresses made for adults—but they’re also excellent choices for kids’ bedding products. 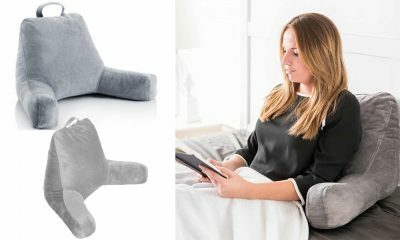 In general, gel excels at keeping sleeping surfaces cool while also comfortably conforming to the human body; memory foam, on the other hand, is great at adapting perfectly to the human body’s contours while, at the same time, providing excellent firmness and support. Edge support is important for several reasons, not the least of which because a mattress with good edge support reduces chances of kids falling off a bed. 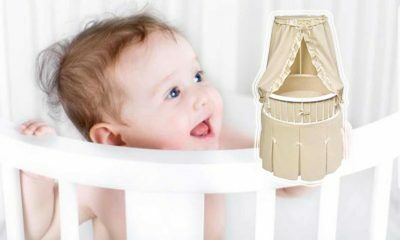 Secondly, it can reduce chances of kids getting stuck if there is a gap between the mattress and the crib and the rails. Finally, it’s less likely that a foam mattress will sag at the sides and corners if the mattress is good and sturdy in these areas. 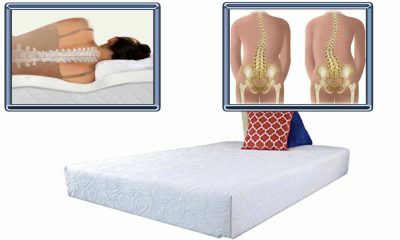 Therefore, good edge support can prolong the life of a mattress. Foam has the tendency, over a period of time, to lose its shape, break down or sag. Accordingly, it may have issues if it’s a hand-me-down or has been used more than once by previous kids. 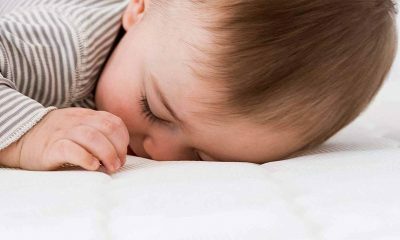 A worn-out foam mattress may not be good enough for an infant (lacking the firmness it needs) or even for a toddler to whom it may not give the comfort that he/she needs. So, foam mattresses may not be as much of a long-term investment as a coiled spring mattress. In general, coiled spring cost more than foam mattresses simply because more materials are required to build them. This, of course, includes the metal required for the springs, not to mention the added support provided by all-around casings and reinforced edges and corners. 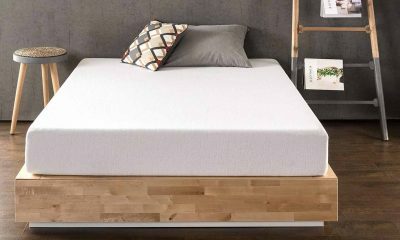 Although there are lower-cost models, a good coiled spring mattress will come with a higher price than foam mattresses–around the $200+ range. Although it’s difficult to find expressly “organic” coiled springs mattresses, some models are environmentally-friendly, meaning that the materials used are less likely to be toxic, either to the environment (after it’s disposed of) or to the kids that have to sleep on them. Read labels and product descriptions carefully if this is an area about which you feel strongly. Coiled mattresses, simply put, don’t offer the same fluffiness, comfort and softness that have made foam mattresses so popular. They can, however, excel at offering superior firmness. 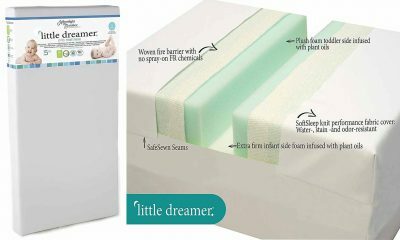 This is especially suitable for infants who should preferably not be using mattresses that sink too much or offer more comfort than firmness. An infant needs some resistance in order to build developing muscles and bones and coiled mattresses offer that very well. 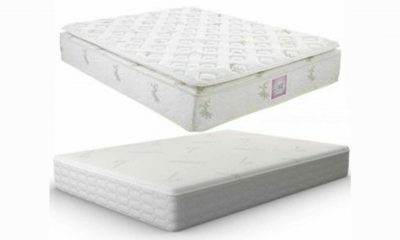 Also, because the coiled springs help to evenly distribute weight, these mattresses can also provide the comfort that toddlers need in order to sleep more peacefully. Fortunately, coiled spring mattresses offer excellent edge support, particularly when they are reasonably new. Coiled-lined edges is just one feature that can make these mattresses a better deal in this area. Over time, however, even metal gives out and these mattresses will tend to lose their shape, sag and be less supportive. This can take years, however, so for a long time at least, edge support should stay strong. Coiled spring mattresses can last for a long time, if cared for correctly and if the recommended weight limit put on them isn’t exceeded too much over time. Metal is good at putting up with the wear and tear that comes with constant use. Having said all this, a coiled spring mattress’ longevity can be compromised by a number of things. First of all, if spills and messes aren’t cleaned properly, this can possibly lead to permanent stains and mold starting to grow. Also, coil spring mattresses should never be bounced on by kids or allowed to become wet. When it comes to comparing coiled spring to foam mattresses, personal preferences certainly play a role. 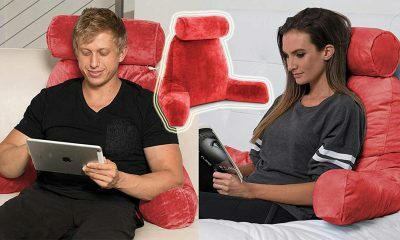 What matters most is that, after you look at all the pros and cons, cost considerations, types of material, comfort/support differences and wear, tear and durability concerns, you make a decision based on what’s most suitable for your unique situation and specific needs. For some people, coiled spring are the answer, depending on what they want, need or must have; for other people, foam is the better alternative. 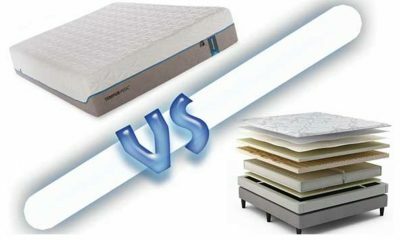 The good news is that both types of mattresses have something beneficial to offer. What you have to decide is whether the pros outnumber the cons, and if so, will that justify the price? Otherwise, maybe it’s one or two things that stand out about either of the two choices that appeal to you the most—in that case, go with your gut feelings and what’s of most importance to you.